OMG Posters! » Archive "The Departure" Art Print by Dan May (Onsale Info) - OMG Posters! Dan May will release his second time-limited art print tomorrow. 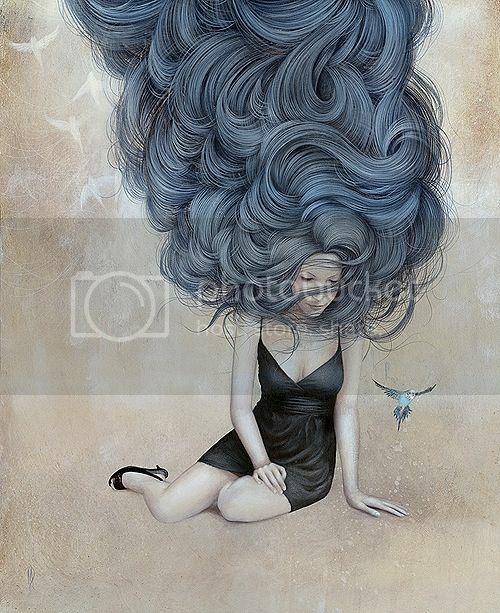 “The Departure” is a 17″ x 22″ giclee for $60. It will be sold until July 1st, or until the edition reaches 50, whichever comes first. It goes up tomorrow (Wednesday, June 1st) at 3pm Eastern Time. Visit his shop. Absolutely stunning! Digging the crazy hair.